Over the past few months, you may have noticed shattered and uprooted trees lying around all over the place. Hurricane Sandy left a pretty big mess of NJ and there is still a lot of cleaning up left to do. If your property still has trees and branches strewn about, Amazing Tree Services offers amazing services for tree removal in NJ. We are fully insured and offer expert service affordable prices. All services come with a full guarantee that customers will be 100% satisfied. We are focused in, but are not exclusive to Passaic, Morris and Essex Counties in NJ. A damaged tree can be very dangerous. Not only can the trees themselves fall on a house or vehicle at any moment, but weak and dangling branches can also prove to be problematic. 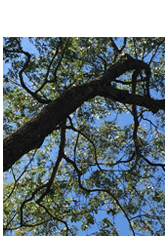 We advise you call professionals for tree removal in NJ. Do not wait for a tragedy. Although many people leave stumps in their yard, a dead stump can attract insects and cause weed growth. Stump grinding is a dangerous process and we advise you to call a professional. We also do seasonal cleanups and offer firewood. We own all of our own equipment, including trucks and cranes, and can offer crane and plow services for reasons not specific to trees. We also provide our service 24 hours a day in case of emergencies. For more information on NJ tree removal or any of our other services, call 973-343-6868 for a free estimate. Hurricane Sandy left a lot of towns a mess this past fall. Trees all over the state were broken and uprooted. If you have trees, branches and stumps throughout your yard and need tree removal in Morristown NJ, you should call Amazing Tree Service. 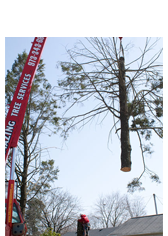 Like our name implies, we offer amazing tree services including but not limited to tree removal. Trees damaged by the storm can be dangerous. There is a chance they may collapse at any time endangering houses, vehicles, and even people. Our workers are skilled and know how to remove trees with as little risk as possible. We are insured and guarantee that yards are left clean of any debris. On top of Morristown NJ tree removal, we offer many other tree services. Trimming is also very important. Branches left dangling after Hurricane Sandy can cause just as much damage as a falling tree. We also provide stump grinding services. While many people may leave stumps in their yards, it is not only unsightly, but it can also attract insects and weeds. It can be a dangerous process. If you are not experienced, calling a professional is recommended. We own all of our own cranes, trucks and tools. Crane and plow services are available for other non-tree usages. We are located in Dover and provide service throughout Morris, Passaic, and Essex County. For more info on Morristown NJ tree removal call 973-343-6868. If your home still has fallen trees and debris from hurricane sandy and you need a tree services in Essex County,NJ read on. Dealing with the hurricane's after math and repair can be really frustrating, you must get a reputable tree removing service to assist you. You have to keep in mind the safety of your family by getting professionals to do the job. 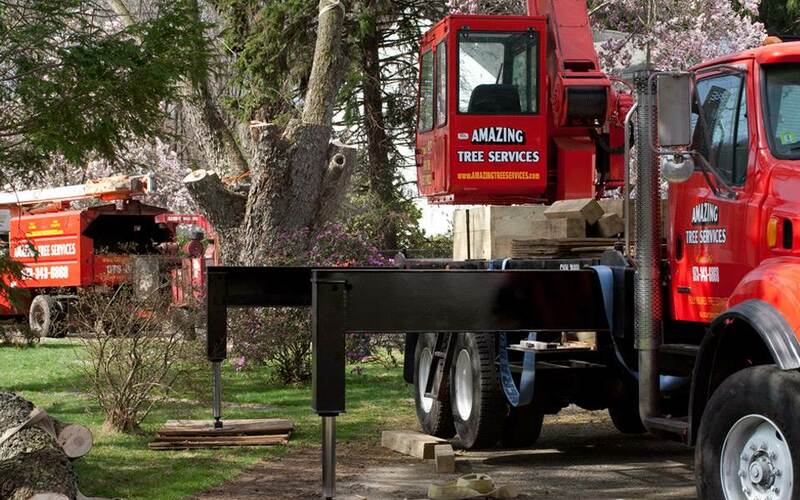 Amazing Tree Services provides its customer with all kinds of tree services such as removal, trimming, pruning and grinding. We are proud to serve all our customers all over New Jersey and provide them with quality service that is affordable. Our team is highly experienced and we have all the equipment to carry out all jobs efficiently. When you hire us to be your tree company in Essex County NJ your you get the best tree service in the area. If you need a tree removal in Essex County, NJ at 973-343-6868.